Place all ingredients in a bowl, except for olive oil. Gradually whisk olive oil in bowl until combined. Set aside until assembly. 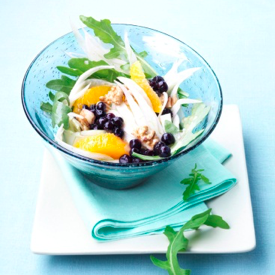 When ready to serve, place all ingredients in the same bowl as Orange Dressing. Gently toss to combine and serve.